Even in the internet age, where we’re accustomed to overnight success stories, the Pokemon Go phenomenon is something else entirely. Within a week of launch 20 million people had downloaded the augmented-reality smartphone game – twice as many as Tinder has achieved in four years. It even surpassed in a week the number of daily active users achieved by Twitter over 10 astoundingly successful years. It’s a genuine first in other ways too. From Space Invaders to Tomb Raider, the most successful video games have always made a lot of money for their developers, but Pokemon Go has eclipsed all that came before it: earning $0.20 per daily active user by conservative estimates, equating to a staggering $1.9m per day – and it’s only been rolled out in 34 countries, with countless more to follow. But Pokemon Go offers other businesses ways to make money too – and not just digital ventures, but high-street shops, cafes and movie theatres. That’s not something you could say of Snake, the progenitor of mobile gaming. Pokemon Go overlays 151 Pokemon characters onto the real world as seen by the smartphone: into the immediate surroundings via its camera and around the local neighbourhood on Google Maps. Once tracked down these small, colourful, cute creatures are then captured when the player, throwing Poké Balls at the Pokemon, hits their target. Players are incentivised to continue playing through the attainment of Pokemon trainer status, at which point they can teach captured creatures how to fight at a Pokegym. The game began as an April Fools' Day prank when in 2014 Google and the Pokémon Company challenged players to find Pokémon via Google Maps. A little over a year later Niantic partnered with Google, Nintendo and the Pokémon Company and the game launched in Australia, New Zealand and the US on 6 July and the UK and another 30 countries by 16 July 2016. While Pokemon Go’s success is unparalleled for an augmented reality game – or any video game for that matter – the game engine itself was lifted from Ingress, also a Niantic-Google invention. But if Ingress provided the ground-breaking game mechanics – albeit players claim territory instead of Pokemon – then the Pokemon brand added the emotional hook to create an irresistible combination. Pokemon, which debuted on the Nintendo Game Boy in 1995, is set to overtake Mario Brothers as the most successful video game franchise ever. Pokemon Go developers stripped Ingress, which itself claims millions of players worldwide, of all but its most addictive features, with the intention of adding extra features later to keep users hooked. Niantic also inherited Ingress data and tips for keeping players safe. Where next for Pokemon Go and augmented-reality gaming? While the app is free to download, players can purchase objects to use inside the game. Speaking to the FT, Niantic CEO John Hanke said his company will emulate Ingress by introducing sponsored locations (ie, Pokegyms or Pokestops) as “an inducement that drives foot traffic." Advertisers would be charged on a cost-per-visit basis. Pokemon Go leads the vanguard for a quantum leap forward in video gaming. Even if its success is short-lived – which seems unlikely given the Pokemon brand’s enduring appeal and the scope for refining game-play – the template will inevitably spawn copycats. Though ever-more sophisticated augmented/virtual reality headsets are being developed, the smartphones owned by around a third of the global population have powerful enough processors, sensors and input devices to comfortably accommodate the deluge of imitators. Small wonder, then, that the global augmented-reality market is projected to grow at a CAGR of 75.72% until 2022 – and this forecast, from Markets and Markets, was made in May, before the Pokemon craze began. What about the cultural impact? Pokemon Go and its ilk invert conventional wisdom about computer games. Long blamed for childhood obesity, social isolation and a lack of real-world curiosity, a video game is now being lauded for bringing gaming addicts out of their bedrooms, blinking, into the sunlight. Pokemon Go players are meeting likeminded gamers as they congregate around Pokestops (where Pokemon can be found in high concentrations), which are often situated around places of historical interest. Pokemon Go represents either health and social salvation or a mortal danger to gaming geeks depending on what you read (media reports have already emerged of Pokemon hunters falling off cliffs, being hit by cars and being stranded in underground caves). But what does it mean for small businesses? Small businesses are already capitalising, either by design or serendipity. Spotting a nearby Pokestop the L’inizio Pizza Bar in Queens, New York boosted walk-in business by 75% after purchasing ‘lure modules’ (costing 80 cents-$1 each) and placing them outside the restaurant. The owner of a pizzeria adopted the same tactic upon noticing his proximity to a Pokestop and expressed his amazement on reddit at its cost-effectiveness as a marketing channel: “With $100 netting you 14,500 Pokecoins and an eight-pack of Lures costing 680 Pokecoins: 14,500 Pokecoins / 680 = 21 eight-packs of lures (21 * 8)/2 = 84 hours. $100/84 hours = $1.19 per hour. If you’re near a Pokestop then it’s worth considering,” he wrote. In London's chic Covent Garden, Maxwell's bar and grill have already seen a 26% increase in customers during their first weekend, with Anthony Knight telling us "Working in hospitality you have to react quickly to new trends and fads and I had a feeling this could be a winner for us. Never in my life did I think Pokémon would form part of my marketing strategy but it’s great fun and allows us to engage creatively with our customers and new customers. 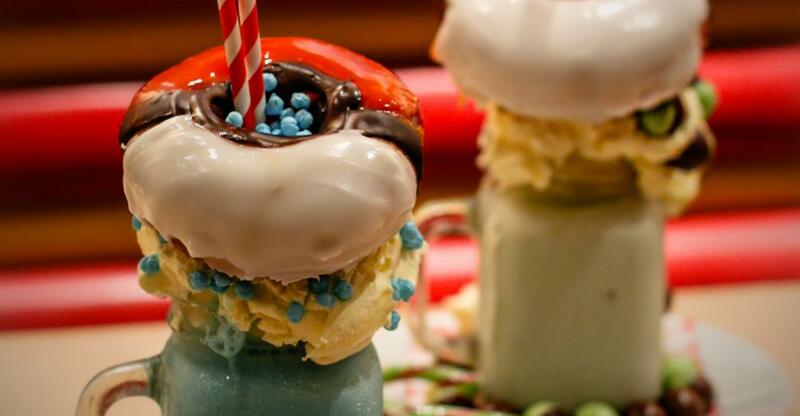 They've furthered this with Pokémon related shakes, check them out if you find yourself in London. And there are many ways to benefit without paying anything. Cafe proprietors or publicans could update their sandwich board daily with the team (there are three: Mystic, Valor and Instinct) currently controlling the local Pokegym and offer a discount to team members. Businesses can find out if they’re near a Gym on the Ingress map. Nowhere near a Pokegym or Pokestop? You could have staff hand out fliers at the nearest Pokestop or use this Pokemon rarity chart to announce on social media the valuable or rare Pokemon appearing in your local area. Pokemon Go won’t necessarily appeal as a marketing channel to every business, however, with those targeting the teenage and millennial demographics probably standing to benefit most (although 40% of Pokemon Go players are actually over the age of 25). It might even be an irritation. The Beach Chalet, a high-end San Francisco restaurant, has become an unwitting Pokestop and destination for at least 250 Pokemon enthusiasts a day since the game’s launch. So which side of the Pokefence do you sit on? Is your business sweeping in the benefits from the game of the year? (or decade!) Let me know in the comments. *The header image used on this article has been provided by Maxwell's Bar and Grill, London.